Relationship based lending is not a concept that is new to Australia’s finance industry. But as our small business community saw significant periods of growth, the philosophy at the core of this concept has been somewhat lost by big lenders. Why Aren't There More Millennials In Franchising? 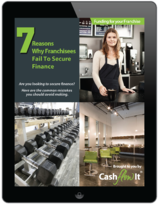 Is Not Being Accredited Slowing Your Franchise Growth? How Well Does Your Franchise Network Embrace Change?